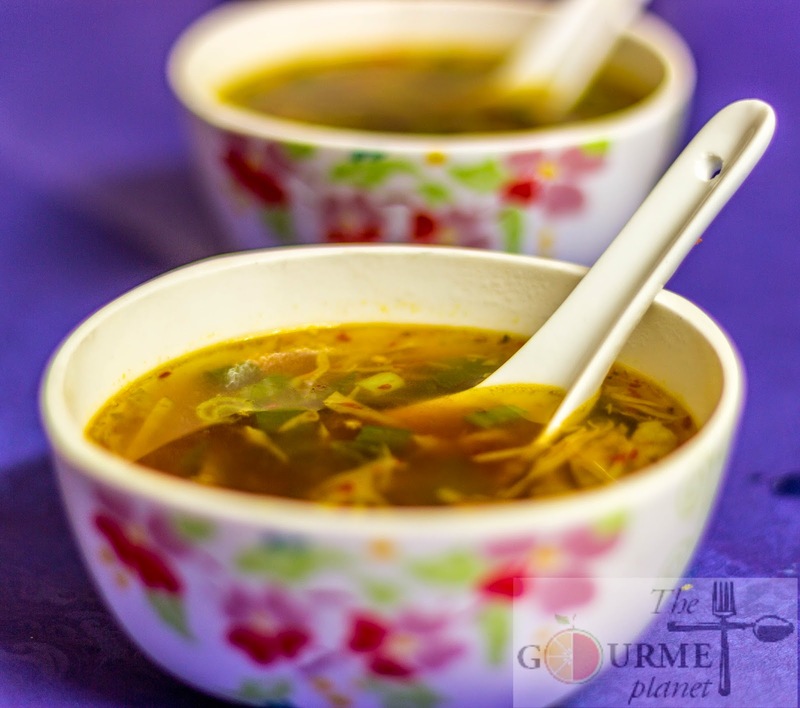 Culinary Delights from My Kitchen: Veg Hot & Sour Soup...Its Winter calling! Soups transform gloomy winter months from boring to exciting! When you’re craving comforting, hearty dishes that warm the soul and won’t cause a fuss, soup always satisfies. A piping hot bowl of soup is an ultimate comfort food during the winter months. Particularly in the winter months, when chilly days call for cozy, fire-fueled evenings, when we have abundance of healthy winter produce available, a simmering pot of fragrant soup has never seemed so inviting. Soup doesn’t have to be rich and creamy to be satisfying, though. It was yesterday when i felt an urge of some hot spicy soup loaded with veggies. When it's time to wrap up warm, it's also time to dig out the pots and the soup recipes. 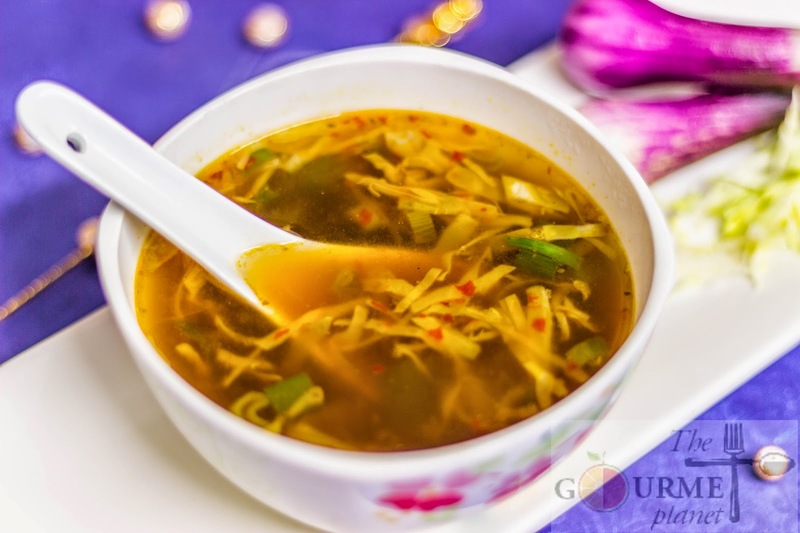 So Chinese cuisine being my favorite was on my list and the need to have something spicy made me churn up a yummy Hot n Sour soup, which came out exactly as those served in good Chinese Food joints. It was perfectly spiced and moderately sour and it left me warm & satisfied, ofcourse HAPPY! 2. Heat oil in a wok. 3. Keeping the flame high add the finely chopped veggies and stir fry for 1-2 minutes. 4. Now add the chilli-garlic paste and saute for few seconds. 5. Add water and items mentioned under 'Spices & seasonings' and boil for another 3 minutes on a medium-high flame. NOTE: Adjust/alter the seasonings as per your taste if need be. 6. Now add the cornflour paste and stir continuously to avoid any lumps. Cook for another 2-3 minutes and you will see that soup starts to thicken. 3. If you think 2 tbsp chilli-garlic paste is too fiery for your palette then add it tsp by tsp and taste intermittently and adjust as per your taste.